My gorgeous Nigerian friend had a baby-naming ceremony today for her second daughter. Of course when my hubby and I arrived we were dressed for a typical afternoon barbecue while Temidayo and Ajibola (and their extended family) were garbed to the nines in amazing, traditional Nigerian clothing. The lawn was littered with bright fuchsia skirts and matching blouses for the ladies and cream and turquoise tunics on the men. Consequently I felt like David Bowie next to Iman. 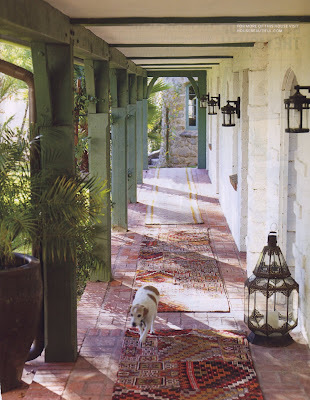 British fabric designer Kathy Ireland's Santa Monica farmhouse is nothing short of my dream home. 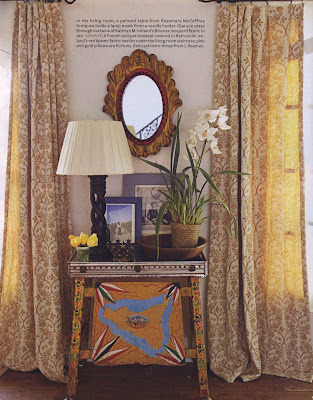 Originally built in the '20s as a barn, later converted into a residential dwelling, Ireland describes her home as "classic Spanish architecture, but with a sense of bohemian fun, comfortable and loose." This home is dead-on my style. Her color combinations are brilliant. 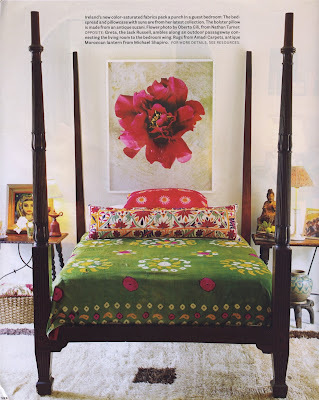 Of course, my opinion is that you can't go wrong with an antique suzani on the bed. 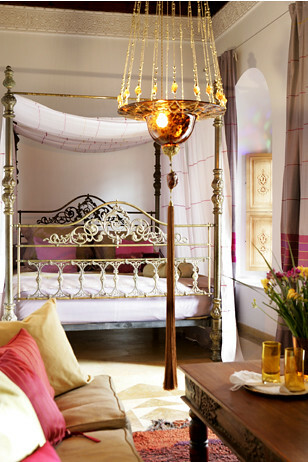 This guest bedroom reminds me of Frida Kahlo: A simple tribute to modern and ethnic. Again, I'm a huge fan of white walls and light curtains with bright, bold accents. Bring on the fuchsia, teal and bright green! 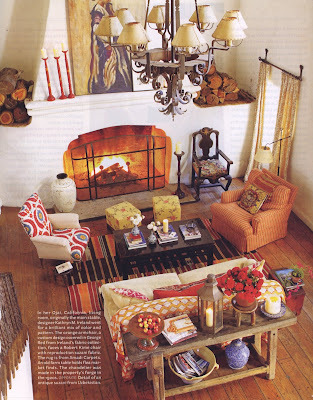 Kathy says the key to creating a unified look when using various colors and patterns is layering pattern on pattern. "And don't go for matchy-matchy-matchy...if it doesn't go, it goes." Flower photo by Oberto Gili. 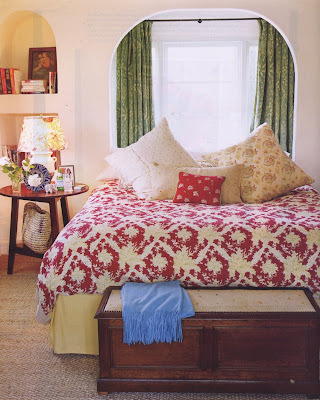 Traditional William and Mary bed. 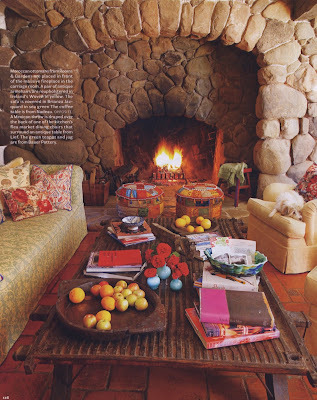 Take a peek at how she uses her Indian poufs/ottomans! 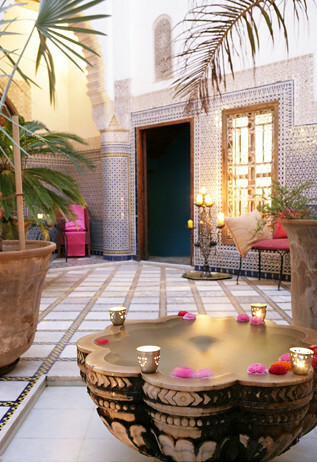 The story sites these as Moroccan, but they look just like my ottomans from India. 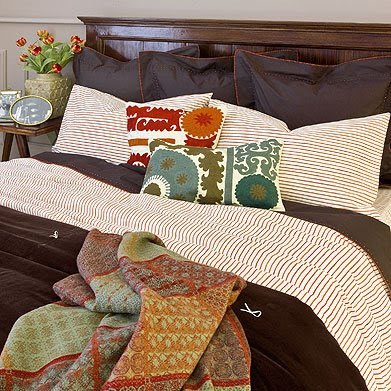 Another tip from Kathy: Never overstuff your pillows. She says, "I want all of my pillows to look like a dog has just laid on them." Hmm...Don't know about that analogy. Yuck, dog hair. But still, she has a point. There's no better way to cozy-up a room than with squishy, lived-in pillows everywhere. 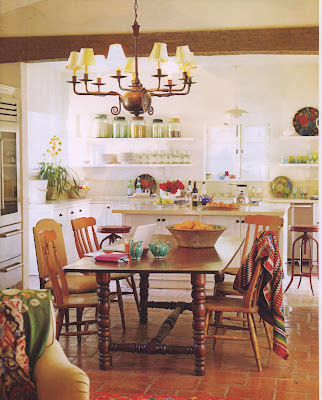 Photos & story from House Beautiful Magazine. 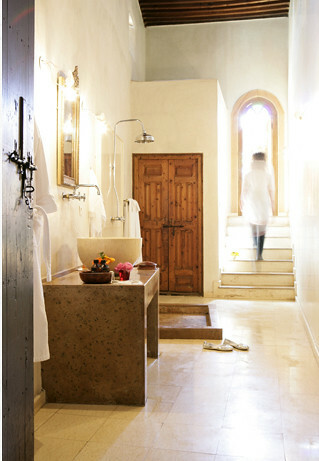 To subscribe, visit HouseBeautiful.com. I've returned from a short business trip and sluggishly returning to real life. This is the kick I needed to feel when I started shopping at ABC Carpet & Home today. Last night I was lamenting over the high-priced bedding at Horchow home when lo and behold I stumbled upon the NEW collection at Zara Home. 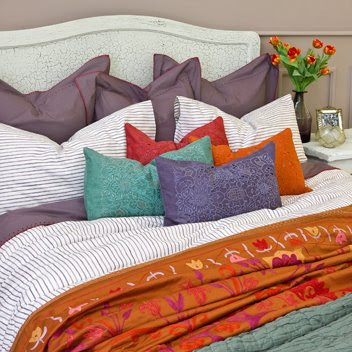 These white, Euro shams and duvet cover (looks like a sheet, though) with orange pompoms are so pretty! I love how Zara Home styled this bed-set with the lavender coverlet. 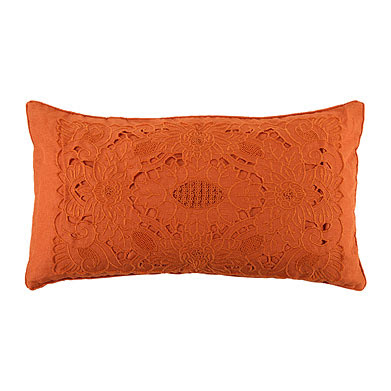 Oddly enough, these ikat pillows are in nearly every photo but nowhere to be seen on the site. 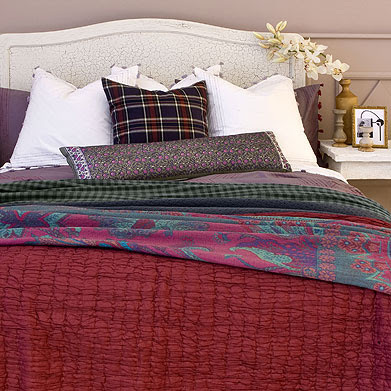 The quilt is lovely....but I really want the damask throw. 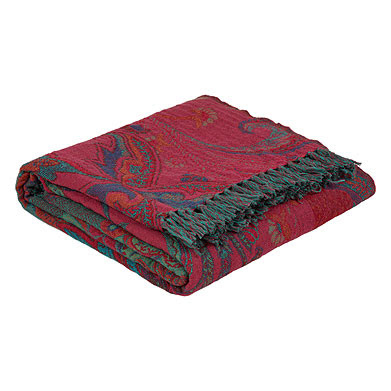 It looks like it might be the Faith Blanket. Love this color combination. 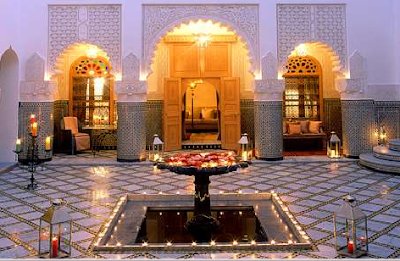 Why do I spend my money on shoes and dresses when I could be saving up for a weekend here?? 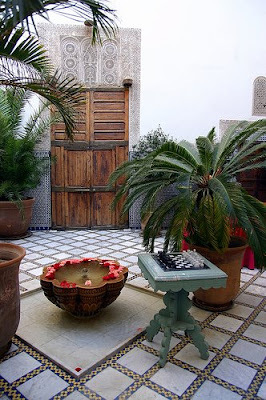 Riad Enija Hotel, Marrakesh, originally uploaded by Sweet Serendipity1. 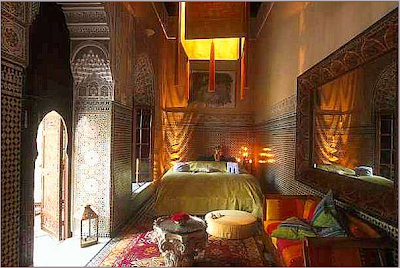 I've always had a slight fascination with the story of Aladdin, so it is no wonder I have been drooling over Riad Enija Hotel in Marrakesh. 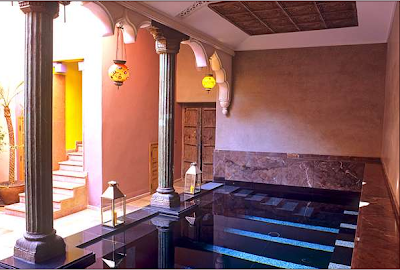 The hotel was originally the palace of King Kaid, then sold to an affluent silk merchant who converted it into his family home. Fast forward 200 years to the current owners, Swedish architect Bjorn Conerdings and Swiss designer Ursula Haldimann. 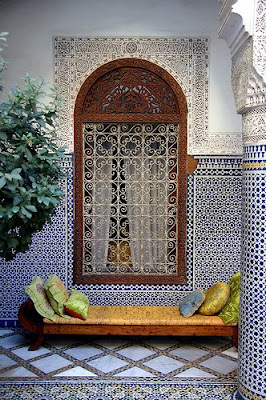 Riad Enija, originally uploaded by Sweet Serendipity1. 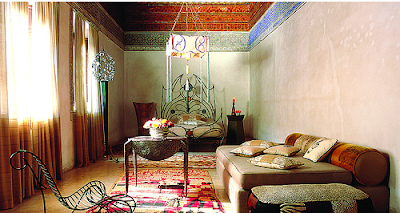 Bjorn and Ursula created this eclectic desert oasis with 12 meticulously decorated guest rooms in a little over 2 years. Wow! Seems like a rest-of-life project to me. Word of advice for all you single ladies out there: Marry a contractor. 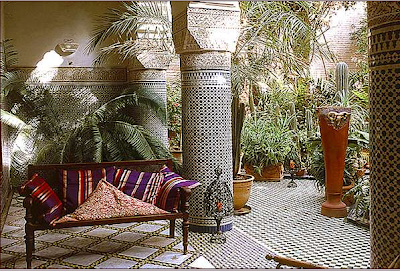 Riad Enija, originally uploaded by berlinpaul25. 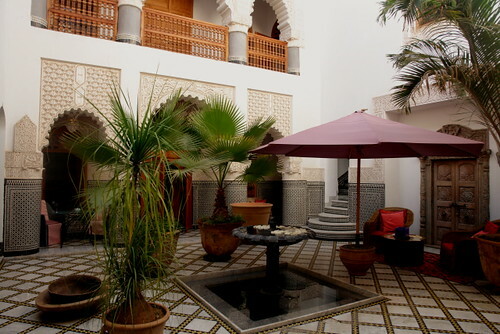 Supposedly the hotel has been the backdrop for a number of fashion shoots. Doesn't surprise me. Absolutely gorgeous.